Our house is tiny, but our backyard is spacious and so inviting making it the perfect venue for entertaining! With an outdoor event you never know how the weather will cooperate, but fortunately for us, the weather was amazing minus the wind that kept blowing my candles out! Luckily we have some amazing outdoor string lights that Matt hung last spring, so we were good! I decided to go with a simple/rustic decor theme this year! Ease is always at the top of my priority list now that I'm a mama, so all of our dishes and silverware were tossable! I am obsessed with this rose gold silverware I found at At Home and these stemless wine glasses are always a must! Broken glass and children just doesn't mix! A few months ago when I helped plan one of my good friend's engagement, I learned that Trader Joes has the best deal on eucalyptus!! I bought ten bunches for under $30! I was able to line both tables and make two giant arrangements out of it! I love the soft green/grey color and the texture of seeded and silver dollar eucalyptus when mixed together! One of my favorite elements of the party was the popcorn and apple cider bar! I took a short cut and bought Trader Joes Honeycrisp Apple Cider and simmered it with apple slices, orange slices, 5 cinnamon sticks, and a tablespoon of pumpkin pie spice! It was so yummy! For the adults at the party, I found this recipe for Apple Cider Moscow Mules! The popcorn bar is my go-to set up for any event with kids! It couldn't be easier and is such an easy and cute station! I love to have a mixture of candy and nuts to mix with their popcorn to create their own personal blend! Originally I cooked the entire Friendsgiving menu myself! Now that I have Stella, I'll take any help I can get! Every year we cook a ham, Matt fries a turkey, and I make a side and dessert! This year I made a crowd favorite, corn casserole, and my new favorite, pumpkin crunch!! Our wonderful friends each brought a side to share! It was seriously one of the yummiest years ever!! Overall this was such an awesome evening with friends! I'm so glad we get to do this every year! With Friendsgiving behind us, I'm so excited to start planning for Christmas!! 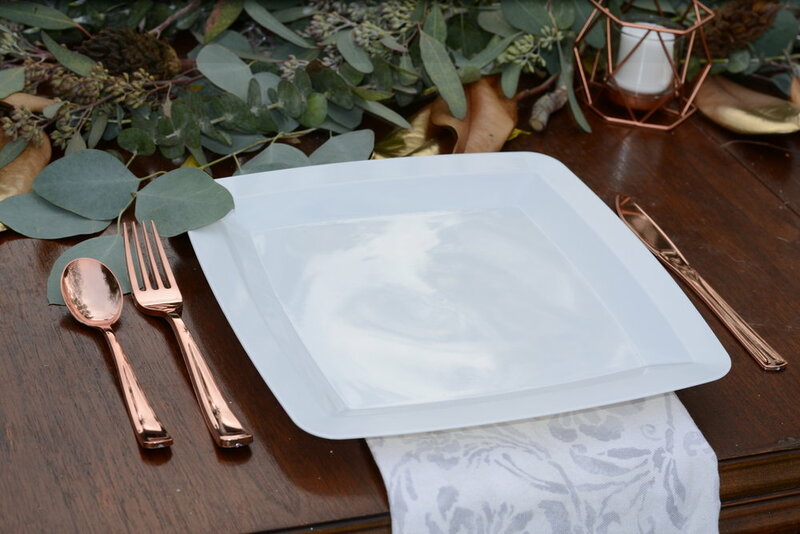 If you're looking at hosting an event this holiday season, check out my Holiday Hostess post for tips on planning and executing a successful dinner party/event! !